Recognized as the last surviving example of America's first native-born landscape architect, Andrew Jackson Downing, it's the first site in the City of Poughkeepsie given federal recognition for its historic importance. Stroll along old carriage roads on 20 acres of the historic landscape. View features designed for Matthew Vassar's summer home. 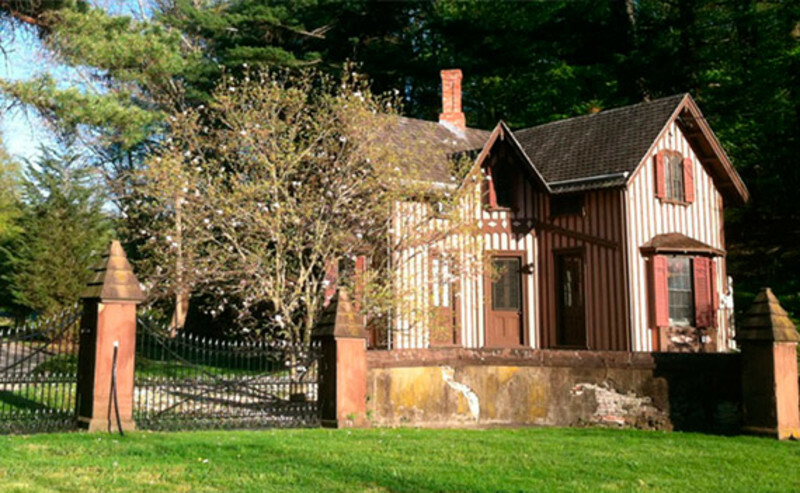 The gatehouse, designed by Downing, is restored to its original 1851 color scheme.